Are FMPs a better bet in the current interest rate scenario? Fixed Maturity Plans (FMPs) are closed-ended funds. These funds are open for subscription for a fixed period and then the subscription is closed. Before we get into FMPs and its nuances, what is so unique about the current interest rate scenario? 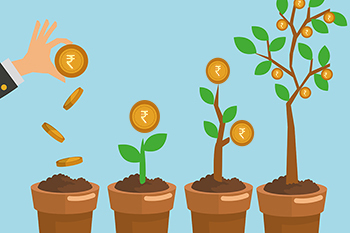 Debt funds tend to benefit when interest rates are falling. When interest rates fall, bond yields also fall and therefore the bond prices go up. So if you have invested in bond funds, then you see the NAV of your bond funds going up resulting in capital gains. But what if the interest rates go up? The reverse will be true! When rates go up, the bond yields will also go up and the bond prices will come down. That will mean fall in the NAV of the bond fund. Currently, with inflation moving higher and the US Fed likely to hike rates this year, there is a possibility that the RBI may also have to hike rates. It is in this scenario that the FMP argument becomes all the more important. So, what is an FMP all about? Fixed Maturity Plans (FMPs) are closed-ended funds. These funds are open for subscription for a fixed period and then the subscription is closed. FMPs can be 3-year FMPs or even 5-year FMPs. Basically, the fund house issuing the FMP comes out with a New Fund Offer (NFO) for a specific duration. Once the subscription is closed, the offer ceases to exist. Like all closed ended funds, FMPs are also listed, although trading is thin. What do FMPs invest in? FMPs are closed-ended funds and hence they have the advantage of investing in debt paper where the maturity exactly matches with the duration of the FMP. So if there is a 3-year FMP then it predominantly invests in 3-year paper and a 5-year FMP will invest in 5-year debt paper. Here there is a subtle difference between a bank FD and a mutual fund FMP. The bank FD offers an assured interest rate that is committed at the beginning. In FMP, there is nothing like assured returns; only indicative returns. However, since the fund duration is known, these FMPs invest in maturities that match with the fund duration. Hence, while the returns on FMP are not assured, they are predictable. Are FMPs a good bet in the current interest rate scenario? FMPs give returns that are higher than what you can earn on a bank FD. However, there are two things you need to understand about an FMP. Firstly, FMP is locked in for a fixed period of 3 years or 5 years as the case may be. If you are willing to lock in your investments for that period, then FMPs can be a good option for you. In the current interest rate scenario, when rates could possibly go up, FMPs can add value. Since the tenure of the bonds match with the tenure of the FMP, there is no real interest rate risk for the investor. For investors willing to lock in their money for a fixed period of time, FMPs can be a good option. In fact, FMPs can be a good option at any point of time if you are looking at predictable returns over a fixed tenure. FMPs get favourable tax treatment. If you invest money in bank FDs, then the annual interest will be taxed at your peak rate of tax which is 30% plus surcharge and cess. That slices away a chunk of the returns. FMPs are relatively more efficient. If FMPs are held for a period of more than 3 years, they are treated as long term gains and taxed at the rate of 20% with the benefit of indexation. Additionally, by timing the issue of the FMP towards the end of the financial year, investors can get the benefit of dual indexation. Here is how! By investing in the FMP 10 days above 3 years, the investor gets the indexation benefit for 4 years. As a result, the effective rate of tax on profits comes down to just 10.54%. It is this tax efficiency that makes FMPs special.